I confess I thought I'd stumbled across a bit of ancient signwriting, a relic of a company long gone. 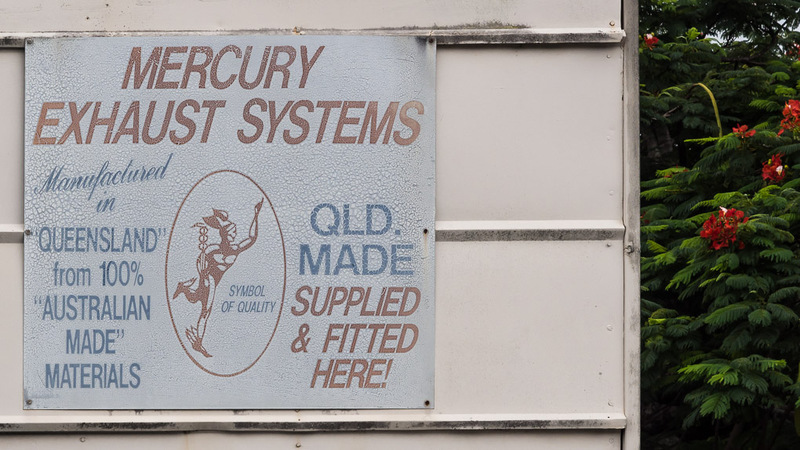 Then I discovered the Mercury Mufflers factory a few hundred metres up the road in the old Buderim Ginger factory! Oh for the days when signs stood up to the weather for a century or more. The sign certainly looks old fashioned.